They will take you literally EVERYWHERE… be it dirt tracks, grasslands, roads, pavements, terrains, stony paths or hills… you name it. Consider them monster trucks or heavy bikes of the skateboarding world cause they literally have the looks of these. And it does not end with only the looks, their performance, features, build-up each and everything says MORE. The off-road electric skateboards are definitely worth the hype. So, if like everyone else you are also ready to buy these beasts then get ready as we present to you the best off-road electric skateboards because you really don’t wanna mess up with this purchase. These off-road electric skateboards will really set you out off budget, but these are worth it. The thing is you need to choose wisely as you don’t wanna see your money going into the trash can… Right! But, don’t worry because we won’t let that happen to you. 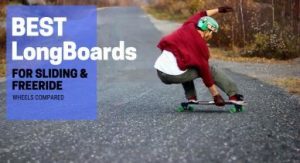 We have reviewed for you the best off-road electric skateboards, and you will find some reasonably priced off electric road skateboards too. Moreover, to make your decision more easy we will be telling you what you have to consider while buying an off-road electric skateboard. So, you will be getting all your questions answered, and all confusions cleared up so that you make the right purchase and have all the fun without any regrets. 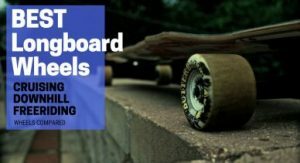 So, let’s not make you wait for more and let’s take a look at feature overview of my Top 3 Off Road Electric Skateboards. Furthermore our buyer’s guide and comparison table of the best rated off road electric skateboard will help you choose the right one for you. Q: What are off-road electric skateboards? Q: Are off-road electric skateboards better than ordinary electric skateboards? Q: Can I ride the off-road electric skateboard on a beach? Q: Can I ride my electric skateboard in the rain? Q: Do the off-road electric skateboards require any maintenance? Note: Scroll/Swipe Horizontally To View All 3 Overall Picks. Evolve has great electric skateboards that is why I have included two of their electric skateboard series in my list. First is the Carbon GT Series and the other is the Bamboo GTX Series. Specifications for both these two in one skateboard are same; the only difference lies in the material of the board and a bit of appearance too. The price also differs, but there isn’t much difference in that. But, both of these are the ultimate electric skateboards of the skateboarding world. Check the latest price on Amazon. When we talk about the best electric skateboard producing brands, Evolve is sure to come in your mind. 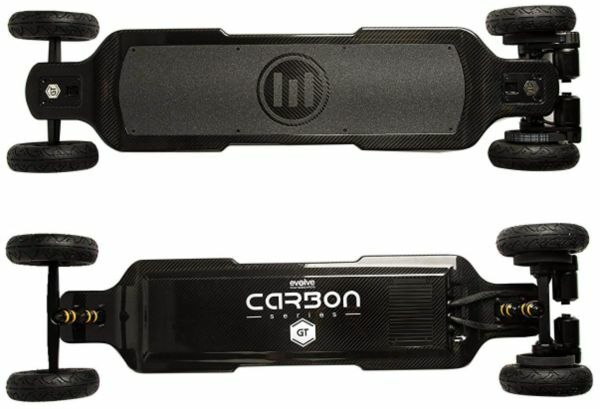 This electric skateboard is from their carbon GT series and is literally a black beauty. You are sure to fall in love with this off-road electric skateboard. So, this is the Evolve electric skateboard which is personally my favorite, and that’s why on top of the list. It has everything you’ll ever want in your off-road electric skateboard. I can say it without any hesitation that this is the best looking skateboard in our list. That’s why I like to call it black beauty as it is all black and beauty too. It looks really stylish and sleek, yet sturdy and robust. The wheels are pretty big and will take you on terrains, dirt tracks, roads, concrete, grass, beach, uneven paths, in short EVERYWHERE. You might have to extend your budget to get this one but take my word for it, this one is worth every penny. It is operated through a wireless remote, and you will have four-speed modes. In addition to this, there is an LCD display through which you can keep an eye on speed and battery level. Good thing it does not weigh much so, it is comparatively easier to carry this one. It weighs less than 30 pounds which is great for an off-road electric skateboard. Coming to the top speed, it will go at about 22 to 26 mph top speed. The motor which powers this board is a 3000 Watt brushless motor. The range depends greatly on where you will be riding your board. 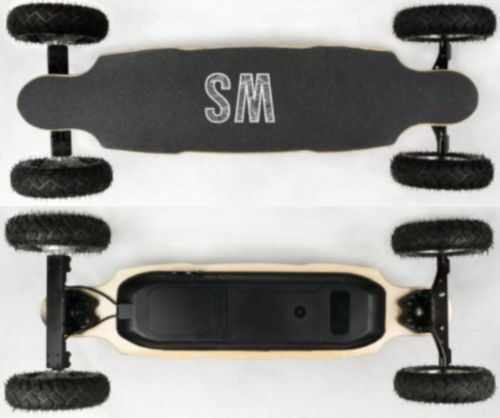 So, this electric board will give you a range of about 31 miles on the roads or streets and on terrains or hilly paths it will give you a range of 18.5 miles. What else can one ask for! Its performance is just extraordinary when you take it out to have some fun. As the motor is very powerful so it will get you over terrains as no other electric skateboard can. This beast is sure to turn some heads not only with its looks but also with its performance. As for the cons, I tried hard to find one but couldn’t do so. Yes! It is this good that it went flawlessly before my critical judgment. Well, still to state one thing, I would say that you will have to extend your budget because let’s be honest you get what you pay for, and when something offers you so much, then it is sure to be a bit expensive. The Evolve Carbon GT Series electric skateboard is the ultimate skateboard in both looks and performance. It is worth your money, and you won’t experience the fun this one gives on any other board. So, don’t hesitate to spend on this one because what is life without fun. This one only differs in the looks and material but that also matters so, I’ll get straight to the differences and not again with the features. The price difference is not that significant still you can save a few dollars with this one if you want to do so. The Carbon GT series is a carbon-based board which is quite rare and kind of new technology, but this one has a usual bamboo deck. The top of the deck is different in looks to the Evolve Carbon GT, but this one also looks really cool and has a stylish pattern. Moreover, the flex this bamboo deck provides is great as it will make your ride very comfortable. Other than this all the features are pretty much the same. Well, this is not it. We know that the GT is a few dollars more than the GTX so Evolve won’t charge you more for anything. So, yes there is quite a difference in performance, and when it comes to the range, then there surely is a notable difference. Both have the same stated range, but practically the Carbon GT has a much better range than the GTX. Even on terrains, you will be able to ride the GT longer than the GTX. The battery of GT won’t run out soon, and this means that it will maintain its speed for long too. The battery of GTX will get used up sooner so it might tend to become slower. As far as cons are concerned, the only one is that it does not give the range as stated. The range will be a bit less than what GT gives, but still, it is worth every penny. So, if you don’t ride for long, then you can go with the GTX and save a couple of dollars. I like both of the evolve electric skateboards. Both are great for off road riding and will practically go anywhere you take them. To make choosing between the two a bit easier, I’ll say that if you don’t ride your electric skateboard for long or you don’t use it for commuting to your office or school and you know that the battery won’t run out on your way back home then you can buy the GTX and save a couple of dollars. On the contrary, if you know that you will be riding for longer time and you don’t wanna deal with a low battery especially on the terrains then, you should definitely go for the Carbon GT as it is worth every penny. And you know they are not charging those extra dollars for nothing; there is a LOT to it. But, you can have your fun for the day with any of these. MotoTec always comes up with great technology, and one word goes for their off-road electric skateboards… AMAZING. The MotoTec MT-SKT-1600 is no exception. It is a simple and sleek electric skateboard with great performance. The value for the money with this one is just through the roof. The MotoTec MT-SKT-1600 has a 12-ply maple deck which is of great quality. Right off the look, you can tell it’s a big skateboard and has a pretty great height from the ground too. So, it is sure to attract lots of attention with its beastly look. 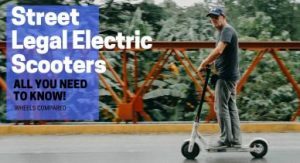 The tires are large 10-inch air-filled tires, and these are what make this electric board ideal for taking off the road. The truck system is what aids the wheels, and this combination lets you conquer any off-road conditions. Below the deck is the 36V battery and two motors of 800 Watts each that makes 1600 Watts in total. The battery will require about 3 to 5 hours to charge fully. The board can get operated with a wireless remote that will enable you to choose either the normal speed or high speed. You can also track your battery level and speed that will be displayed by the LED display. Now, coming to how it performs off the road. You will be surprised to know that it accelerates to 15 mph in just 3.5 seconds so, you don’t have to wait to run it at high speed. It will give you a top speed of 22 mph which is really great. The range is just INSANE; you can go 10 miles with a single charge. But it, of course, depends on how fast you are going and your weight too. It runs really well on the road, grass, mud wherever you take it and even on a beach. I tell you do ride it on a beach because you’ll have a hell of fun there. You can make power curves up and down the sand and enjoy the sunset at the beach. As for the cons, I really could not find any significant ones, but the only thing I can mention here is that the batteries used in this electric skateboard are the lead-acid batteries. They work pretty well, but they just make the board a bit heavy. That being said honestly for this price and performance I don’t feel like complaining at all. I believe this off-road electric skateboard is a great deal. An off-road electric skateboard with a great performance and such a reasonable price is actually rare. So, I would definitely recommend this one to anyone who does not want to stretch their budget and still have the fun with a high performance off-road electric skateboard. The KooWheel electric skateboard really shines off-road with its range and speed. Its motor is sure to give you a quiet and fast ride. 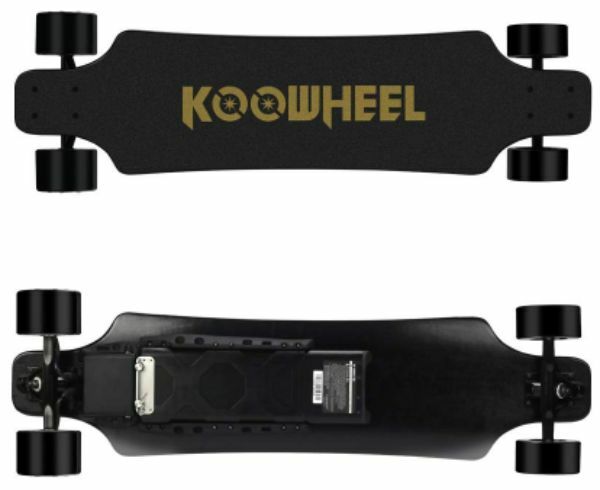 So, let’s see what we have in store with this decently priced 2nd generation D3M KooWheel electric skateboard. 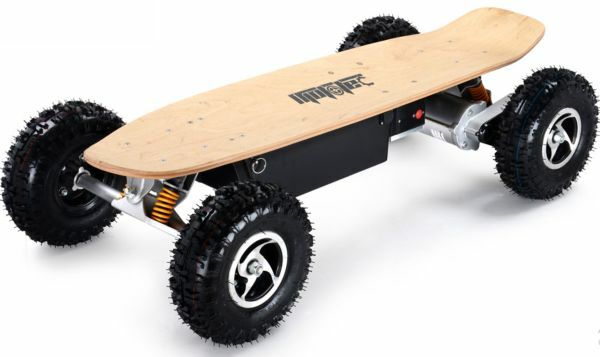 This off-road electric board has a deck built of high-quality Canadian maple wood. The seven layers of wood have a gripe tape on the top, and the good thing is that you will get two additional gripe types. This is powered by two motors of 350W which gives it a power of 700W which is not greater than the power of MotoTec, but this one is also great, and a big plus is that the motor runs very quietly. The battery used is 36V 5.5mAh Lithium-ion battery and takes only 2 to 3 hours to charge fully. The battery is really good, and it is easily replaceable. It is also operated by a wireless remote that has lights so that you can keep track of battery level. You will get two riding modes on it; one is normal mode, and the other is the high-speed mode where you get the top speed of more than 24 mph. The KooWheel shines when it comes to its speed and range. The top speed is 24.8 mph, and the range is 15 miles. This goes without saying that range will depend on how fast you are going. So, when we took it off the road, at top speed, it gave a range of about 10 to 12 miles and personally I was AMAZED because I actually didn’t expect that at such a decent price. With a normal speed, you’ll get a range of 15 miles which is great. At first, I thought that it was better than the MotoTec, but just because of its wheels I did not feel like putting it on top of MotoTec. I think that the wheels could be better, but you get a pair of wheels to replace the old ones, so that’s the savior I guess. The ride on this one is not smooth, and I think it is because the wheels are not air filled. So, don’t take this one in hilly areas if you don’t like bumpy rides. Nevertheless, on a not so bumpy path, it will be great. 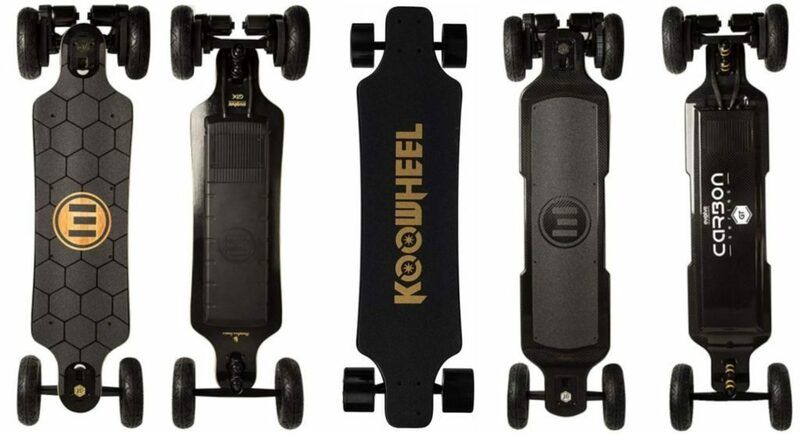 The KooWheel is a perfect pick when you want to cruise at high speed for a long time but only on the pavements, roads, mud tracks, and grass or the beach and not on hills. It is a really good exchange for the money so, have fun riding on it at amazing top speeds. The Wave Street might not look that impressive, but it performs really great when it comes to riding on terrains. It’s a powerful battery, and large wheels make it great for riding in hilly areas. So, this one really shines when it comes to a powerful motor and going up terrains. The motor has a power of 2000 W, and it goes up hills really fast. It Has a top speed of 18.6 mph which will get affected by where you will be riding the board and some other factors too. The power might be less than that of the Evolve electric skateboards. Still, it’s great to go. The battery is a lithium 36 V 11 Ah battery which gets charged in just 3 hours. So, you won’t have to wait long to cruise around on your board. You can ride the Wave Street electric skateboard for 10 miles with a single charge. The wheels on it are pretty great as they are the pneumatic tires and are great for absorbing shocks on uneven paths. It weighs only 13.5 lbs which is extremely light. So, this makes it very portable and ideal for taking with you on trips or while going camping. Well, I felt that it is a bit overpriced for its features, but if you don’t mind it, then it’s alright because at the end of the day it comes done to your own choice. MotoTec and KooWheel offer much better features and are also reasonably priced. They might not beat this one in the, but the weight also helps in stability while riding. So, I would have preferred it if it was for the same price as MotoTec or KooWheel. If you want to ride an electric skateboard for off-road boarding while you are on a trip or out for camping, then you might consider this one as it is light in weight and very portable. But, if you don’t mind some extra weight, then I will suggest saving your money by buying either the MotoTec electric skateboard or the Koowheel. And if you have the budget, then the best ones are the Evolve skateboards. Off-road electric skateboards are expensive than the ordinary skateboards so; you should buy one carefully. You might be new to this and might not know which things you have to consider while buying an off-road electric skateboard. So, worry not because we have got you covered. We have given a detailed buyer’s guide that will help you make the perfect purchase because you can’t afford to lose your money over something that is lacking. Before we start with this, you should know that the range and speed of your electric skateboard will greatly depend on where you will be riding your electric board, your weight and why are you buying an off-road electric skateboard. Is it just for fun or you want to use it for commuting daily to avoid someplace getting stuck in the traffic? Now, when I talk about where you will be riding your skateboard, it does not mean I’m talking about the road. 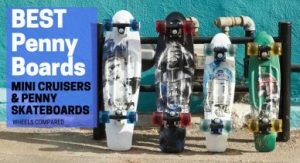 These are off-road skateboards so of course, these can’t have any problem riding on a road or pavements. I am precisely talking about the different off-road conditions you might be experiencing. Will you be riding more on terrains, or on grasslands, muddy tracks or the beach? The range and battery are mainly influenced by the off-road conditions you will be exposing your electric skateboard too. On terrains or hills, more power is required so the battery is consumed more and range will be reduced. Whereas on the grass or beaches or uneven dirt tracks you will get the stated range. So, it comes down to where you will be riding your board. If you are most likely to take your electric skateboard on grass, pavements or uneven paths then an electric board with a range of 10 miles would be good to go. You might go for MotoTec or Wave Street in this case. But, if you would always be on terrains or hilly areas then get an electric skateboard with a range of more than 15 miles. I would personally recommend getting Evolve boards for terrains because the range you get with them is not given by any other board. But if you can’t extend your budget that much then you might opt for KooWheel because it will also give you a good range without being heavy on your pocket. 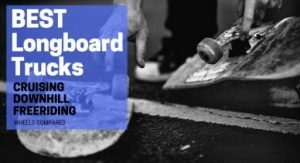 Selecting the right wheels is too much importance when it comes to off-road skateboards because they will be taking you to quite rough surfaces. Big air filled wheels are the most ideal ones for off-road skateboarding. They will endure all situations and will take you very easily on terrains or uneven paths with fewer jerks. At beaches, they will also roll on smoothly but might get quite dirty. So, don’t forget to clean the sand that gets stuck on them right away. 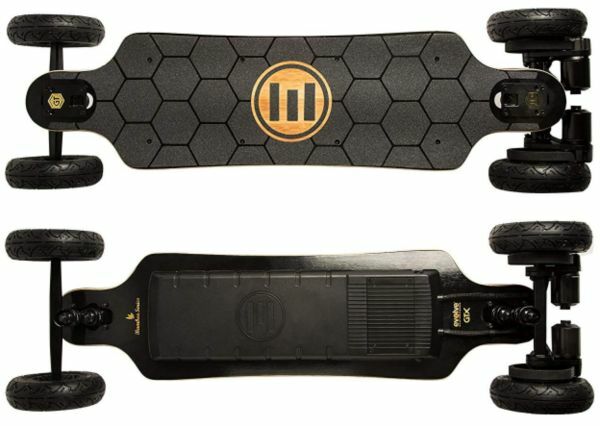 For very much harsh conditions, I would recommend MotoTec electric skateboard as it has the biggest wheels and will be perfect for terrains and mud tracks. Evolve skateboards also have good wheels and will take you over terrains, grass, pavements and all. For beaches, you can go with KooWheel if you don’t like to get into the trouble of cleaning the rubber wheels. Otherwise, all the pneumatic rubber tires work great almost on all paths. So you can get whichever you like because at the end of the day it all comes down to your liking. A powerful motor is indeed necessary for off-road cruising. Evolve electric skateboards, and Wave Street have motors with exceptionally high power so they would definitely take you up inclines and will just go everywhere. But if you will be riding on low terrains or grasslands and muddy paths mostly then MotoTec also has great power. Whereas, if you don’t need that much power at all then you can choose KooWheel and save some dollars. A: The off-road electric skateboards are specifically built for riding off-road. These are specifically built to perform well on any sort of off-road conditions like terrains, uneven paths, grass, muddy tracks or beaches. In short, the off-road electric skateboards can take you where an ordinary electric skateboard will not. A: When it comes to the features, components, and build-up, then, of course, the off-road electric skateboards are better than ordinary electric skateboards. But it is only because both are built for different riding conditions. The off-road electric skateboards will be exposed to quite harsh and rough conditions, so they are built specifically for that. On the other hand, normal electric skateboards are built for normal everyday conditions, so they are ideal for that. Which one you should buy depends completely on where you will be riding your electric skateboards. A: Yes, you can ride off-road electric skateboards on the beach too. They are sure to double up the fun on a beach. But, the wheels will get quite dirty because of all the sand so, you will have to clean them thoroughly. This goes without saying that just ride them on the sand and DO NOT get them dispersed in the water. Other than that there isn’t anything to be concerned about. A: It all depends on whether your electric skateboard is waterproof or not. So, you might have to get that confirmed from the seller or brand you will be buying your board from. Most of the electric skateboards are water resistant but not waterproof. So a little drizzle might not do any harm but as the board is not waterproof so you can’t get them all drenched in the rain or in some pothole. But, if the company confirms you can do so, then there might not be a problem. A: Yes, like all other skateboards the off-road electric skateboards also require maintenance. So, from time to time you should check up on your skateboard and maintain it properly. The off-road electric skateboards are surely fun to ride, and all the boards we have listed are great in every sense so whichever you choose is intended to be a good one. At the end of the day, it comes down to what you want and what is your preference. With these off-road boards going to places which you couldn’t explore before is no more a dream. So, go out there, explore new places and live up all the adventures. I hope we answered all your questions that you had in mind. The buyer’s guide is great for making the right decision and will clearly tell you which off-road electric skateboard is suitable for you. So, have all the fun and don’t forget to share your choice with us in the comments section below. Moreover, if you have any other questions or any suggestions in mind then feel free to write about it in the comments. Wheels Compared is a participant in the Amazon Services LLC Associates Program, an affiliate advertising program designed to provide a means for sites to earn advertising fees by linking to Amazon.com and other Amazon websites.